Last girl now only £1600 Our loving family pet Katy has given birth to an outstanding litter of fully Black & Tan babies. Mother is our loving family family pet that we have had since a puppy, her temperament is second to none and she is excellent with both adults and children. She is such an excellent, attentive, loving mummy to her babies. She has been DNA tested and is clear of hereditary diseases. Father is a striking black and tan toy poodle. He's a stunning little boy and he was chosen for his equally excellent temperament, health tests, small stature, and stunning colour. He is also DNA tested clear of PRA meaning he cannot pass this to any of the puppies. All puppies will be raised in a loving family environment, with the very best of food and round the clock care and attention. They are also weighed daily to ensure they are thriving. By the time they leave us they will have been handled and well used to children, other dogs, having baths, and many other house hold noises. Our little princess and princesses will be ready to leave at 8 weeks the weekend of 6th/7th April. We will be taking viewings from the 9th March once they are 4 weeks and their immunity has become stronger. Each puppy will leave us: Well handled in a family household environment. Copies of mum and dads DNA tests. Microchipped. Flea and worm treated at 2 4 6 & 8 weeks. Parvo vaccinated at 4 weeks. First vaccine. Fully 5* vet checked. Puppy pack. Bag of food. Life time of free after care and support. Please do not hesitate to call £250 Holding deposit secures your chosen puppy until weaning. Due to unforeseen circumstances and being let down I now have one female border collie puppy for sale from a litter of six. Born on 03/03/19. Can leave from 28th April. Can be viewed anytime with mum and dad. Deposit can be left to secure sale. Contact me anytime on: Odette [telephone removed] or Jason [telephone removed] Thank you, Odette and Jason. Our gorgeous Mia gave birth to 7 healthy pups on the 8th March 4 girls and 3 boys ***** ONLY 1 GIRL LEFT ***** Both parents are pure Bishon frise. Mia is our family pet and she is around the kids all the time, she loves everyone she met. Mum has bichon fries pedigree papers but dad is a full pedigree bichon frise but no papers. Bichon frise are a fantastic breed of dog. They have non shedding coats perfect for allergy sufferers. They are being brought up in a family household with children and will be used to all household noises The puppies will come wormed, fleed, microchipped, fully vet checked and 1st vaccinated up to date and also will come with toy and blanket with mum scent. Puppy's will be ready to go to new homes from 4th.May Viewings are welcome and £100 non-refundable deposit is required to secure your chosen puppy. Through no fault of her own, our beautiful silver sable girl Cocoa is looking for a forever home. She is very calm and docile and is great with young children , however, Cocoa is not at all good with cats as she was never raised with them as a puppy. She is good at recall (she's used to running through open fields). She has come from a loving home and we would like her to be the only pet in her new home, as she gets bullied a bit by our older girl, so we would like her to get all the attention. As with the breed, she is wary of strangers at first and head shy, until she gets to know you, but she has a lovely temperament and is a wonderful family pet. Cocoa has been wormed and flead, health checked and holds an EU passport. No entropian or any other health problems happy to have you discuss history with with my vet. 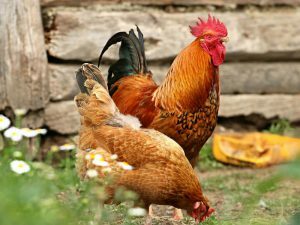 Why should I keep chicken as a pet? The most beneficial reason is that there would always be an available supply of fresh eggs. Aside from that, chicken is one interesting animal that is capable of 24 vocalisations used for specific purposes. Alopecia in dogs can be an alarming and emotionally distressing sight of bald patches or thinning hair across the dog’s head or body. 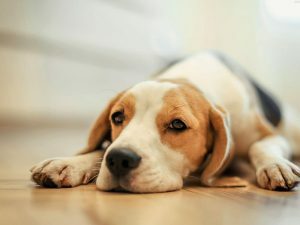 It is not a painful condition to the extent that your dog may remain clueless of it. 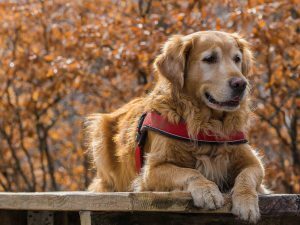 Dog Vomiting – When to be Concerned? Why does my dog keep throwing up? Why is my dog throwing up undigested food? Vomiting can either be acute (sudden) or chronic (long-term). It is important to learn how to distinguish between regurgitation and vomiting. The most intelligent dogs are not necessarily the easiest to train. That’s because there is more to trainability than canine cleverness.